A teenage boy shot a teenage girl in a high school cafeteria in Texas on Monday morning, officials said. The suspected shooter is in custody, and the victim was taken to a hospital. 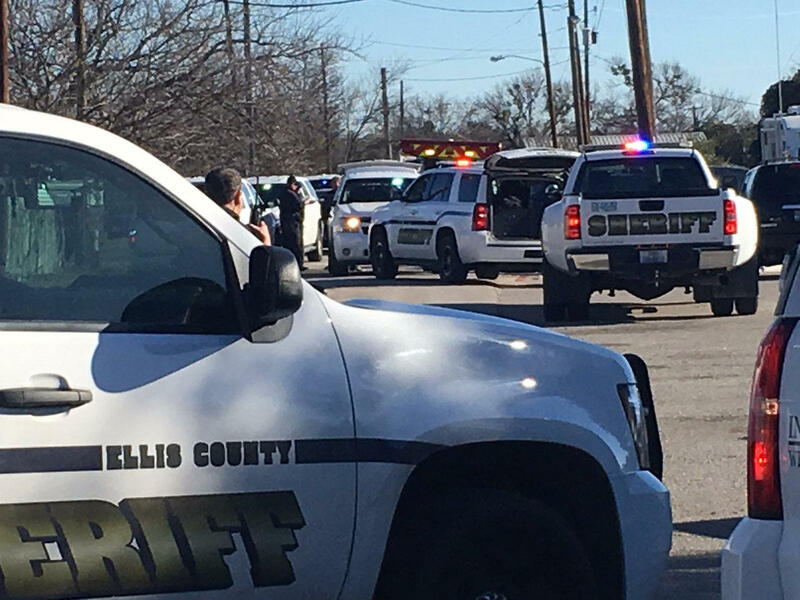 The Ellis County Sheriff's Office confirmed to a reporter for CBS Dallas/Fort Worth that the suspect in the shooting at Italy High School is a 16-year-old male student. Ellis County Sheriff Chuck Edge said the suspect "engaged the victim" and fired several shots from a semi-automatic .380 handgun. Edge did not say at a Monday afternoon news conference how many times the victim was shot. Edge told reporters that a school district employee then confronted the suspect in the cafeteria. The suspect left the building and was apprehended by law enforcement while still on school grounds. Edge said the handgun was recovered at the scene and is in evidence. Superintendent of Schools Lee Joffre told reporters that between 45 and 55 students are usually in the cafeteria in the morning. Edge said he didn't know what charges the suspect would face. He also said he wasn't aware of a motive for the shooting. The sheriff's office also confirmed that a 15-year-old female student had been shot and was airlifted to a hospital. No one else was shot. Edge said he wasn't aware of a relationship between the suspect and the victim. Joffre told reporters that he didn't know the condition of the wounded student. He also said that the district wasn't aware of the motive for the shooting or if the victim was targeted. Joffre also said that the school district doesn't allow disciplinary information about students to be released. The sheriff's office said on social media that students were being moved from the school. Joffre told reporters that students were being moved to the nearby Stafford Elementary School to be reunited with their parents. Cassie Shooks spoke with CBS Radio 1080 KRLD-AM to describe the incident. "Tons of kids were rushing out the door, sprinting and climbing over the chain-link fence," Shooks said. "Kids were running to their cars and speeding off." Even though Shooks did not witness the event, she heard from other students about someone being shot. "They were screaming that one of our students shot somebody, that there was a shooting and that he was going crazy" she added. Italy High School is located about 45 miles south of Dallas.